by The Telegraph and Harvey Norman boss Gerry Harvey described it as a "non-event” - Grandinetti said it surpassed expectations by breaking such a company record. "About five months ago, in December, we finally launched and the reactions from customers was extremely strong," Grandinetti said. "Our launch in Australia was the largest order volume on a first day country launch that we have had in our company history, which is extremely gratifying." He added that comments about people saying they are 'now no longer living in a third world country' were a bit "dramatic", but nonetheless, the strong feedback in Australia was pleasing. Since its launch many are now calling for Amazon Prime to be available, with Grandinetti quipping how one person said she'd even give a kidney to have Amazon Prime in this market. Retailers Down Under had long been quaking in their boots ahead of Amazon's initial arrival, let alone its full on offering of Prime. While the retail offering is now here, Amazon Music and Amazon Echo arrived in February, and Amazon Prime Video launched in December 2016, the full renowned 'Amazon Prime' offering is not here - yet. Members of Amazon Prime receive benefits including free fast shipping, streaming of movies, TV shows and music, exclusive shopping deals, unlimited reading, and more. A key benefit of being a Prime other markets is two-day shipping, even same-day delivery in some areas, Amazon Fresh grocery deliveries, among other benefits such as newspaper partnerships, photo storage and much more. Grandinetti said its Prime service is most definitely coming. "The number one request we get from customers is when are we going to launch Prime," he said. "We are going to launch Prime. I don't have any news to report about it other than we are working hard on it, it will come soon and I can also say it won't cost you a kidney." 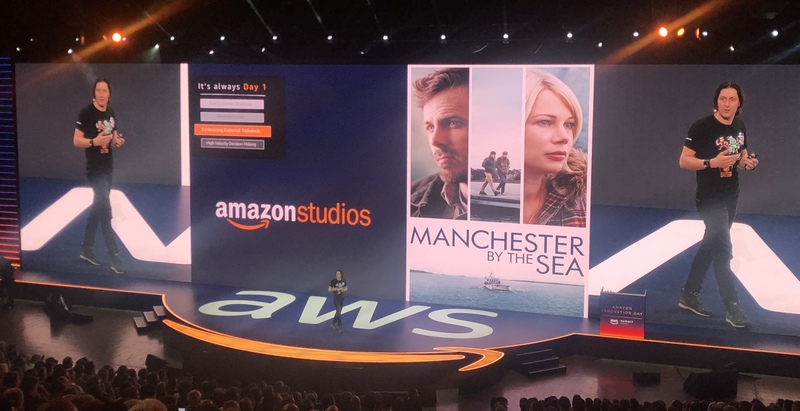 Also briefly speaking at the event was Amazon Australia's country manager Rocco Braeuniger, who said launching in Australia was "amazing" and a key career highlight. He admitted there was "still a long way to go" in this market, but Amazon is working hard to bring more of its offering here sooner. Australian brands including Bonds, Wittner, Kathmandu, Sol Sana, Styletread and even Cancer Council were some of the first brands to flock to the retail platform when it launched its retail offering in Australia last December. In addition to local brands, Lego, L'Oreal, Calvin Klein, Nikon, Disney, Wrangler, Coach, Puma, Roxy, Nike are all featured on the Australian marketplace, which spans over 23 categories, including books, computers, music, clothing, accessories, home improvement, consumer electronics, kitchen goods and baby products. 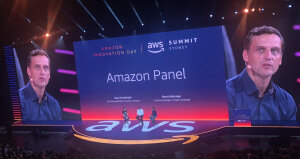 The AWS Summit expects to see up to 20,000 people flow through the three-day event. 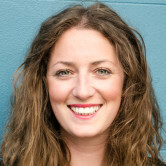 Keep an eye on AdNews and our social channels (below) for updates. E-commerce giant Amazon received its biggest order volume on a first day country launch in the entire company history, thanks to Australian consumers, its top execs revealed at an event addressing more than 10,000 attendees in Sydney. At the Amazon Innovation Day, held at the International Convention Centre, Amazon's SVP international consumer Russell Grandinetti kicked off by focusing on the brand's core mantra - 'customer obsession'. He said it's this unrelenting obsession and consumer focus that has led Amazon to become the behemoth it is today. While some Australians considered the launch of Amazon underwhelming - it was called a “lame duck” by The Telegraph and Harvey Norman boss Gerry Harvey described it as a "non-event” - Grandinetti said it surpassed expectations by breaking such a company record.